As a professional Manufacturer, Supplier and Exporter, thanks to our powerful distribution network, our Kidney Bean products are popular with customers in Taiwan. With rapid development, we have attained ISO9001 certification and won many honorary titles. To learn more about what we can do for you, please contact us at any time. We look forward to establishing a good and long-term business relationship with you. Kidney bean is relatively large compared with red bean, it's more soft and tender, lighter in red color, also with sweet taste. Kindney bean is commonly used in snow ice, accompanied with other kinds of beans, as mung bean and red bean. Various kinds of beans to be spread onto a plate of snow ice, pouring some condensed milk, what an perfect combination! 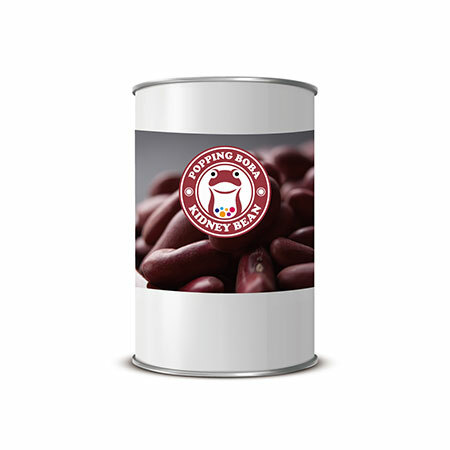 Sweet Kidney Bean cans contain kidney beans, ready-to-use and packed vacumm inside a can, being able to preserve for 2 years. and full-hearted service. We provide you with the dependable products,trusted manufacturing capability and rich and powerful tactical knowledge.We have experienced engineers and always assure you high quality products with the fast delivery.